Sreynav joined our Scholarship program in March 2012, when she was in grade 12. She was born on 25 May 1993 in Kaun Khlong village, and graduated from Sangke High School in 2012. Her father is a farmer and her mother is a housewife. She has 3 sisters. 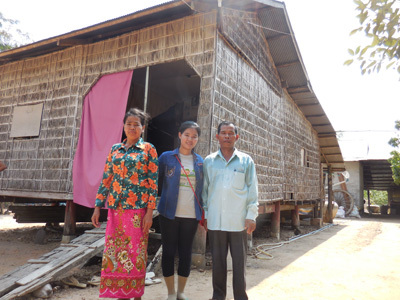 Her oldest sister, Sreynoch, teaches English classes for the Cambodian Village Fund. Another sister is in university in Phnom Penh and her younger sister, Sreynan, recently graduated from high school. 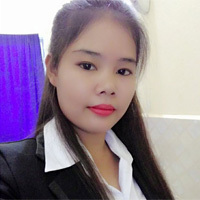 In 2016 Sreynav graduated from the University of Battambang with a degree in Finance. 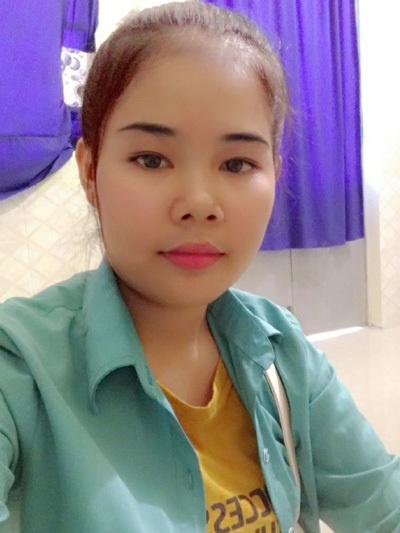 She as a teller at Chamroeun Microfinance Institution in Moung Russey, a city south of Battambang. 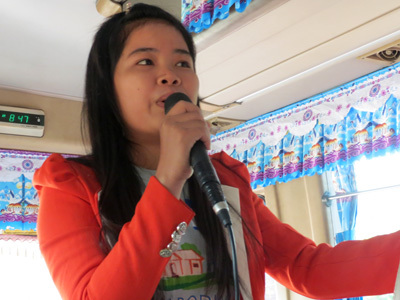 Sreynav returns to Battambang on weekends to study English. Sreynav has a beautiful singing voice and is a very good entertainer. Sreynav’s house with her parents.